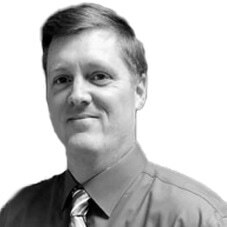 Matthew Spiret, Sales and Product Support Engineer, talks to AZoM.com about the new MPX series of motorized pendulum impact testers from Instron and the range of benefits they offer to the industry. Could you give an overview of how motorized pendulum impact testers work and how these compare to different types of impact testing systems? Motorized pendulum impact machines provide a safe alternative to manual pendulum impact machines which typically do not have CE compliant guards and require the operator to manually lift the hammer to its release position. The hammer assembly is very heavy to help achieve higher initial energies required to test modern high toughness materials. For example, the Instron MPX 450J hammer assembly weighs 32 Kgs. Not surprisingly, it will be difficult for an operator to lift the hammer to 150 degrees between each test which can lead to operator fatigue and possible repetitive motion injuries. A motorized pendulum impact system eliminates this risk to the operator. Could you explain the Charpy and Izod standards and why these are so important in impact testing? Airplane and automotive components, OCTG (oil country tubular goods), ship hulls, etc. 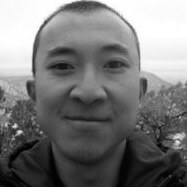 will experience impacts during field use. Impact testing is critical to understanding how these materials will perform in real-life conditions. ASTM E23 and ISO 148 are the most common standards for impact testing. Charpy and Izod nomenclature refers to the method of testing carried out to meet the standards. ISO 148 requires the Charpy method and ASTM E23 permits both Charpy and Izod methods. Charpy testing specimens are supported by a beam with a V- or U-notch cut out in the same plane that the striker will pass through, undergoing three-point bending. An Izod specimen is held in a cantilevered manner where the striker will hit the top of the specimen. Charpy impact testing for metals applications is most common. What industries and sectors is impact testing most crucial in? Impact testing is common in many different industries such as metals, plastics and composites. 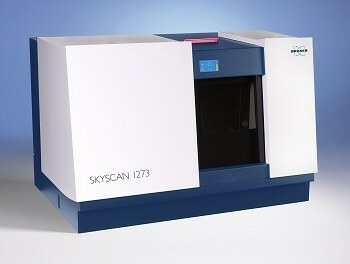 However, the standards and testing equipment are very different for each industry. Metals impact testing typically requires higher velocity and higher energy systems. The Instron MPX Series was designed for the metals market, particularly the plate and pipe & tube segments. 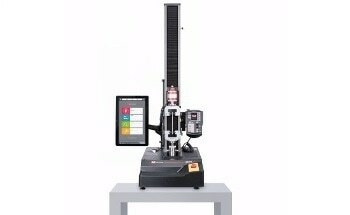 Instron has recently released the MPX Series of motorized pendulum impact testers – could you explain how these work and how they are unique compared to other impact testing systems? 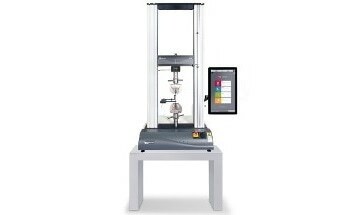 The MPX Series is one of the most user-friendly, safe, and accurate high capacity pendulum impact testing systems on the marketplace. The MPX has an enclosed test space that covers the entire arc of the pendulum keeping the operator safe whilst the impact hammer is moving. As part of the interlock circuitry, Instron has added an innovative feature to assist our customers in their daily testing regimen. It is common to conduct a pendulum impact test at or below ambient temperature to determine the ductile-to-brittle transition for the material. To achieve this, the specimens are typically conditioned in a cooling bath prior to testing. The standards dictate that the specimen must be removed from the bath, loaded into the machine, and struck by the hammer in 5 seconds or less. The MPX can be programmed to release the hammer automatically as soon as the sliding specimen door is closed helping the user adhere to non-ambient testing standards. The Instron MPX series machine has an exceptionally high resolution encoder as its primary source of angle data. It is common for a pendulum impact machine to have an analogue dial built into the machine to display the energy absorbed by the specimen. Not only does this increase the friction of the entire system, but it can also limit the lowest range of impact energy that can be tested on the machine. 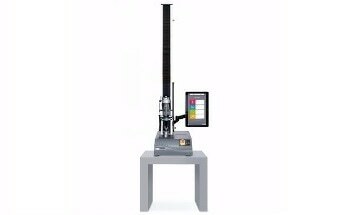 For instance ASTM E23 dictates the lowest useable range of a pendulum impact testing machine to be 25 times the resolution at 15 Joules. A dial would typically have a resolution of about 1 Joule at this energy, meaning the lowest impact energy specimen tested on a system such as this would be 25 Joules. On an Instron 450 Joule MPX the resolution at 15 Joule is 0.023 Joule, meaning the lowest impact energy specimen would be 0.6 Joules. What are the available capacities of the MPX Series? How can these be utilised in different industry sectors? The MPX Series machine is available in the following capacities: 300J, 450J, 600J, 750J and 900J. However, it is also possible to purchase different capacity weights that can be installed without having to remove the hammer assembly. For instance, a customer that purchased a 900J system could also purchase 300J weights to change the capacity of their system. As discussed earlier, the resolution of the encoder used in the MPX allows testing of metal specimens with energies in the 1 to 10 Joule range even on systems equipped with 900 Joule weights. This combination enables the MPX to perform a “more ideal” impact test. An “ideal test” refers to one that maintains constant test conditions and therefore can yield more accurate, less variable results. The ability to use a hammer with a higher initial energy means less change in velocity as the hammer impacts the specimen. Since the hammer velocity is directly related to the strain rate seen by the specimen, the strain rate seen by the specimen is more constant which results in a “more ideal” impact test. ASTM E23 and ISO 148 both allow testing of specimens with energies up to 80% of the initial hammer capacity. At 80%, the velocity of the hammer is reduced by more than half as it contacts the specimen. 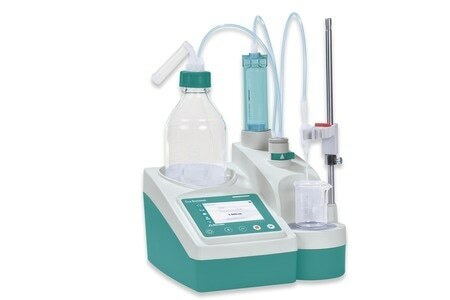 Could you outline the Fracta™ Software that comes with the MPX and the benefits of using this? Fracta™ Software, which is supplied with all MPX Series machines, is a simple to use software package that calculates and stores impact test results. It allows for automatic calibration of friction and windage losses of the machine which can be carried out in a few minutes. As well as displaying the energy absorbed data, there are up to 10 user defined fields that can be created to include data such as operator name, specimen id, specimen temperature, lab temperature, lab humidity, etc. Results are stored as .csv files that can be opened in other applications such as Microsoft® Excel®. What are some of the optional accessories for the MPX series? Instron supplies a variety of optional accessories for the MPX. Different strikers are available depending on the testing standard (2mm or 8mm radius), sub-size specimen supports, and foundation bolts, templates and drawings for the customer to create the foundation required by the standards. Alternatively we can supply a turnkey solution including the complete concrete foundation, additional hammer weights, instrumented impact solutions, Izod specimen fixtures and various specimen preparation tools. Could you give a brief overview of the integrated guard and safety control system and why this is important? The integrated guard and safety control system of the MPX meets the strict requirements for the European CE Marking designation as well as ISO 13849. CE marking ensures that the system complies with the essential requirements of the European health, safety, and environmental protection legislation. ISO 13849 refers to the principles for design and integration of safety-related parts of a control system. Understanding the critical importance of operator safety, the Instron MPX incorporates high-quality materials, components, and craftsmanship. The hammer assembly is motorized and automatically returns to the start-test position eliminating the need for the operator to lift the heavy assembly. In addition, the safety enclosure with interlocks prevents the hammer from accidentally releasing when any door is open. How has the MPX Series been received so far? Have there been any case studies using the MPX Series that you would like to highlight? Thanks to new and innovative features, the MPX Series has been well received by the marketplace, especially the ability to help our customers meet standards for non-ambient testing whilst keeping their operators safe. 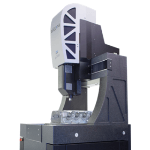 An MPX was recently installed at the University of Sheffield Advanced Manufacturing Research Centre (AMRC) with Boeing, a world-class centre for advanced machining and materials research for aerospace and other high-value manufacturing sectors. Their requirement was for a system designed for high capacity pendulum impact testing in order to support a nuclear materials test program within the Nuclear AMRC. The focus was on providing a safe working environment for their lab technicians, as well as the ability to configure the system in order to meet a wide variety of different industry standards. The 450MPX impact tester provided by Instron met all required Charpy and Izod standards, and offered a variety of additional system options in order to meet their specific testing requirements (including a conditioning chamber that allows for the sub-zero testing of specimens). AMRC are pleased to have the 450MPX supporting their programme and Instron are pleased to have been able to help provide a solution for their requirements. Where can our readers learn more about the MPX series? AZoM’s readers can learn more about the MPX Series by visiting Instron’s brand new website – just click the link here. Matthew Spiret is based at Instron Europe Headquarters as a Sales and Product Support Engineer specialising in the Industrial Products Group. 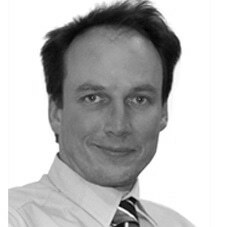 He is responsible for assisting in the provision of testing solutions for the metals industry, as well as providing expert support and advice to Instron’s local representatives and customers across both Europe and Asia. 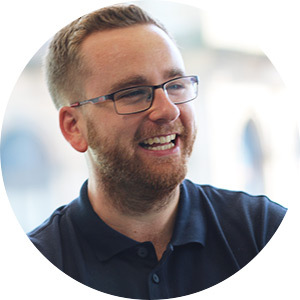 Matthew holds a degree in Automotive Design Technology from Sheffield Hallam University, where his dissertation was researching the use of magnesium in the automotive industry. He hopes to continue to specialise in the metals industry, growing application knowledge that will enable Instron to continue to understand their customer’s evolving needs, and be able to continue to provide the best solution.